Home » Academics » Schools » School of Science, Engineering and Technology » Faculty » Jesus Segovia, Ph.D.
Jesus A. Segovia, Ph.D., received his bachelor’s degree in Biology from Baylor University in 2004. He then attended graduate school at Texas A&M International University and earned a master’s degree in Biology, with a focus in Microbiology, in 2008. In 2009, he joined the Department of Microbiology and Immunology at the University of Texas Health Science Center at San Antonio. In early 2010, Segovia joined the laboratory of Santanu Bose to pursue his Ph.D. in the field of innate immunity and inflammation. Segovia’s research was aimed at characterizing the mechanism by which respiratory syncytial virus (RSV) activates the inflammasome complex. The inflammasome complex is a multi-protein complex that mediates activation of caspase-1, an inflammatory enzyme that catalyzes the activation of the inflammatory cytokines IL-1β and IL-18. The activation of this complex is critical for initiating the inflammatory response and orchestrating the adaptive immune response during infection. 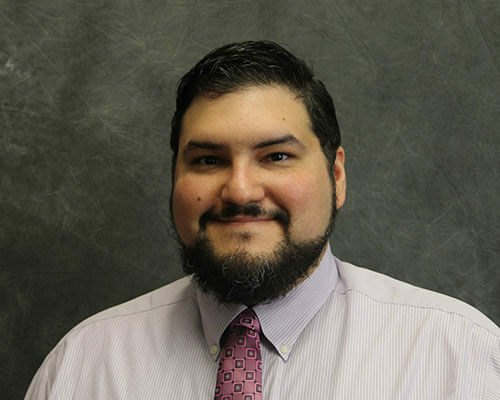 After earning his Ph.D., Segovia joined the Baseman laboratory in 2014 to pursue research focused on characterizing the molecular mechanisms that activate and regulate the innate immune response to Mycoplasma pneumoniae infection. His studies have uncovered a critical role for the NLRP3 inflammasome complex in initiating the acute inflammatory response during M. pneumoniae infection. His findings have profound implications due to his part in the recent discovery that NLRP3 is post-translationally modified (and activated) by the unique ADP-ribosylating and vacuolating CARDS toxin produced by M. pneumoniae. Currently, he is initiating numerous undergraduate research projects focused on characterizing the mechanisms of inflammation during M. pneumoniae infection, including how the ADP-ribosylation activity of CARDS Toxin affects mitochondrial function and how the vacuolization activity of CARDS toxin affects monocytes and epithelial cells.